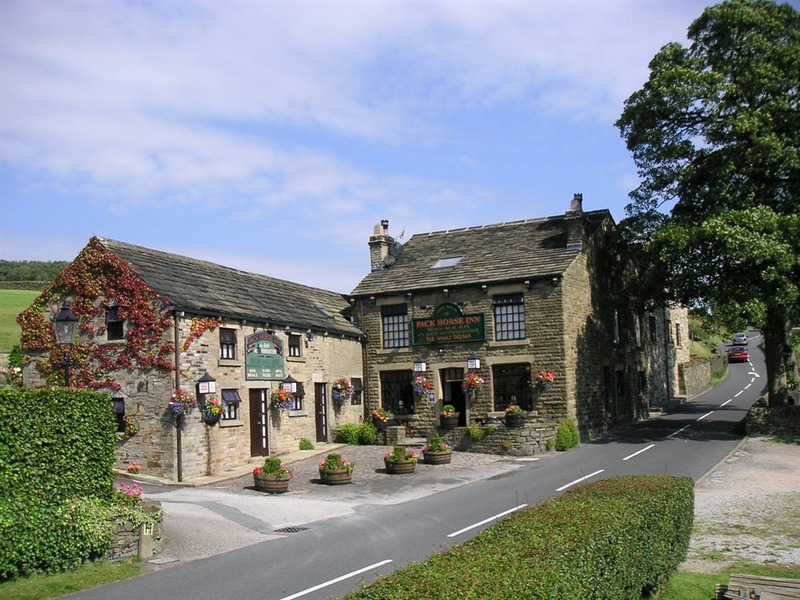 A warm welcome awaits everyone at the Pack Horse Inn, nestled in the hills overlooking New Mills, yet within a mile of the town centre whilst on the edge of the Peak District. The friendly local’s bar boasts a minimum of 3 hand-pulled guest ales together with Tetley bitter. The guest ales change frequently and the Pack Horse has been CAMRA listed for over a decade. Traditional bar meals and snacks are available or for a more formal meal there is a comfortable dining-room which overlooks the patio area – a pleasant place to eat and drink in the warmer weather. In the Winter, the bar area has two welcoming log fires. 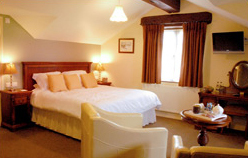 The Pack Horse is a very popular place to stay for both business and pleasure, and offers 12 quality 4-star accredited, very reasonably priced en-suite bedrooms. 7 bedrooms have been added to the original 5 rooms which were converted from the barn adjacent to the main building and which retain some of the original oak beams. The 7 new rooms consist of 4 superior rooms and 3 executive rooms and are in the main building. 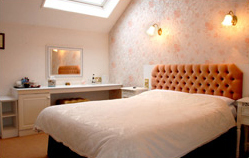 All rooms are en-suite and non-smoking. 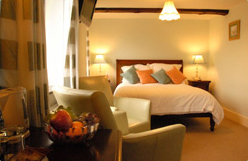 Superior rooms all have 10-channel 23″ flat screen TV with built-in clock/radio/alarm, large 5ft bed, bath with shower over, complimentary fruit bowl, toiletries, free broadband internet connection and trouser press. The Executive offers a large airy room with sitting area and desk with modem connection (free). All the facilities of the Superior rooms and also comes with complimentary bathrobes and slippers. These recently refurbished rooms in the old stable block annexe all have their own private entrance and offer free wifi and flatscreen TVs, tea & coffee making facilities, fresh fruit bowls and toiletries. There is a £10 premium on all rooms for Saturday nights. There’s a £10 premium on all rooms for Saturday nights.